Mardi Gras means food and fun, but also a time to self-reflect. Mardi Gras has roots in old tradition and takes place around the world. While you might think of it as a day solely for celebrations and overindulgence, it can also be a time of reflection in preparation for a new season. When you hear "Mardi Gras," you might automatically associate it with a time for drunkenness and overconsumption. After all, it's celebrated by eating fatty, rich foods before Lent, a period of reflection and fasting during the 40 days of purification between Ash Wednesday and Easter Sunday. You might even hear it called "Fat Tuesday," which is how the phrase translates from French. That said, the early Catholic Church adapted Fat Tuesday to build on old traditions in the new faith. The pre-medieval event originally sought to get rid of evil spirits. Today, though, you'll find Mardi Gras celebrations incorporating carnivals, big parades, flashy costumes and masks, and yes, lots of eating and drinking. As the culmination of Carnival, Mardi Gras is perhaps best known for the celebrations that take place in New Orleans as well as in Rio de Janeiro, Brazil. You'll also find worldwide celebrations, such as Karneval in Germany or J'Ouvert in Trinidad. Wherever you're going, a live psychic chat can help you prepare for the festivities. In England and many other European countries, you'll hear Fat Tuesday called Shrove Tuesday, or Pancake Tuesday. During this occasion, people feast on pancakes packed with eggs, butter, and fat, since that's forbidden during Lent. Pancakes are also a traditional aspect of celebrations in many places in the Caribbean and Latin America. In the U.S., the tradition has moved to Fat Tuesday as well. 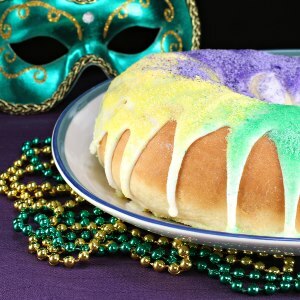 And in the southern U.S., especially in Louisiana, Mardi Gras parades and festivities end with eating a twisted cinnamon bread known as a king's cake, which is inspired by traditional Mardi Gras celebrations in France. In Poland, people get their indulgence from paczki, a rich, deep-fried donut stuffed with jam or other sweet fillings. Instead of celebrating on Fat Tuesday, though, this event takes place on the Thursday before Lent starts. Too much indulgence, even in a short period, can lead to some health risks. Excessive drinking is always dangerous, and if you're traveling to celebrate, be careful when eating unfamiliar foods. Overindulging often comes with overeating, and consuming too many calories can make it harder to maintain or lose weight. You may even regret what you've done if you eat or drink too much. So have fun, but take things in moderation. Instead of giving into every temptation present on Mardi Gras, use this time to reflect on the period that came before, and then move forward into a new season. A psychic reading by phone can help guide you as you prepare to celebrate. Wherever you go and however you choose to celebrate Mardi Gras, you can use it as a time for reflection and change.